FOR AN EDUCATION THAT WILL TAKE YOU EVERYWHERE. 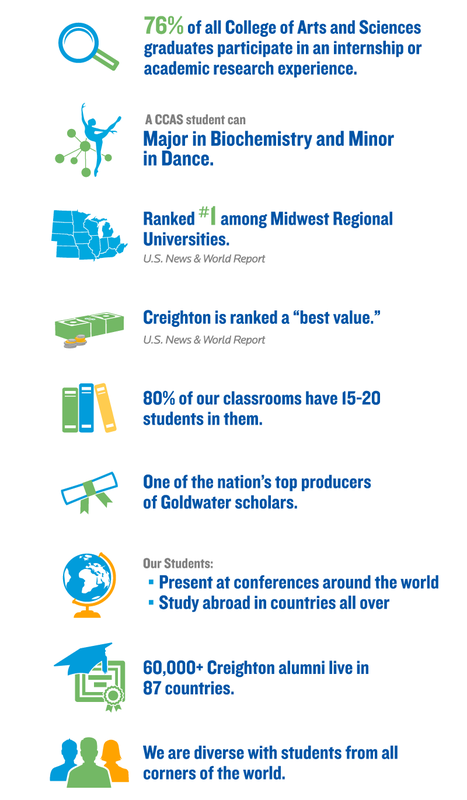 Why choose Creighton University College of Arts and Sciences? Because one of the advantages of a liberal arts education is that what you learn here will lead to an incredible future out there. And, we’re not just talking about a job to make money. We’re talking about professional or graduate school, a fulfilling career and opportunities to positively change the world. At Creighton, you have people who are pulling for you. They are in your corner, and they are doing whatever they can to help you get to where you want to be. I found that over and over again. It’s the people who make the school. 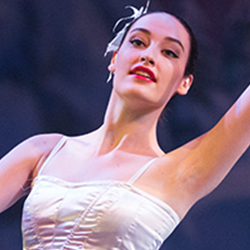 100+ students present at worldwide conferences annually. Learn more.